Lawrence Bergeron, who is raising his four grandchildren after the death of their parents, is thankful this holiday season. Lawrence Bergeron is grateful that he and his four grandchildren found a home by the time the weather turned cold. When his family was evicted from their Bangor apartment in March, they were unable to find a landlord who would accept their federally subsidized housing voucher. So they lived in a car for nearly six months, while Bergeron called nearly 100 landlords, looking for a place to live. 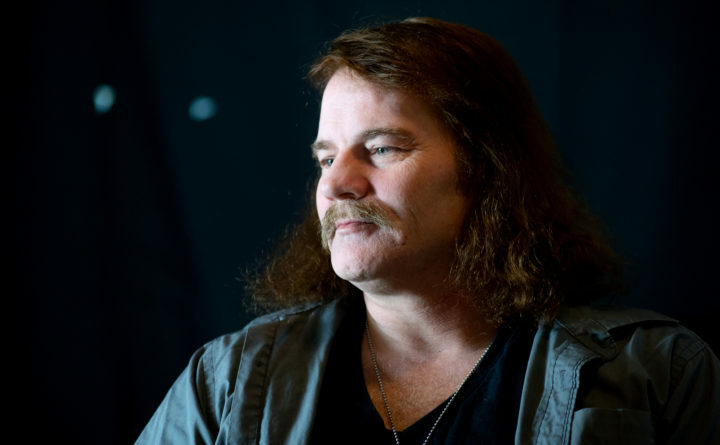 Bergeron, who has been raising his teenage grandchildren since their parents died several years ago, shared his experience of being homeless with the Bangor Daily News in a Nov. 19 story, about two months after they finally found a home in Hermon in late September. But signing a lease hasn’t stopped Bergeron from worrying about his grandchildren — ages 12, 13, 15 and 17. They feel the loss of their parents more acutely during the holidays, he said, and they have still not recovered from the toll of being homeless all summer. “I’m just trying to make sure they understand that there are people out there who give a damn,” he said. It surprised Bergeron, though, to learn how many people gave a damn about his family when they found out what they’d been through. In the days after the story published, dozens of residents in Bangor’s Fairmount neighborhood contributed to the delivery of four carloads of donated clothes, household items and holiday decorations to outfit Bergeron’s new home. Resident Dawn DeBois organized the donation drive after she posted the BDN story in the neighborhood’s Facebook group, a place where neighbors share information, ask questions about city issues, and coordinate assistance during power outages or when someone’s dog runs away. When something goes wrong, “I have a safety net of neighbors,” DeBois said. Bergeron wasn’t so fortunate when his family lost their apartment in Capehart last spring. About a week after Thanksgiving, DeBois called to check in with Bergeron and learned he was doing the family’s laundry at a nearby laundromat. It was so expensive that the kids were only allowed to wash four outfits at a time, he said. DeBois told that to Jack Eisentrager, owner of Dunnett Appliance and Mattress in downtown Bangor. Eisentrager turned around and sold the group of neighbors a discounted washer and dryer, which about 40 people paid for in contributions ranging from $5 to $100. Dunnett’s delivered the set, priced at around $500, to Bergeron’s home for free, on Dec. 11. “The washer and dryer just blows my mind right out of my head,” Bergeron said. He hopes his grandchildren feel the same way.